October is prime time for foliage viewing in Virginia, and the magic starts on Skyline Drive, due to its higher elevations. We usually make multiple visits to view the foliage in Shenandoah National Park during Autumn to make the most of changing colors and beautiful fall weather. 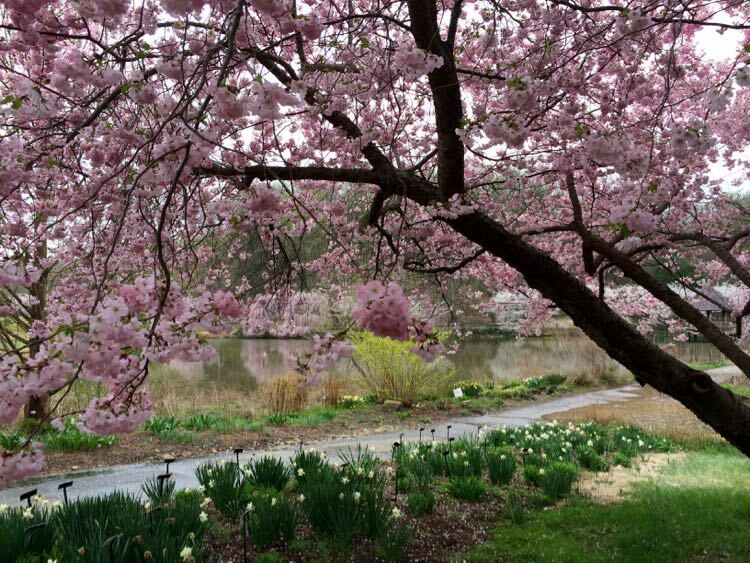 Here are 5 fun ways to immerse yourself in panoramic foliage views. 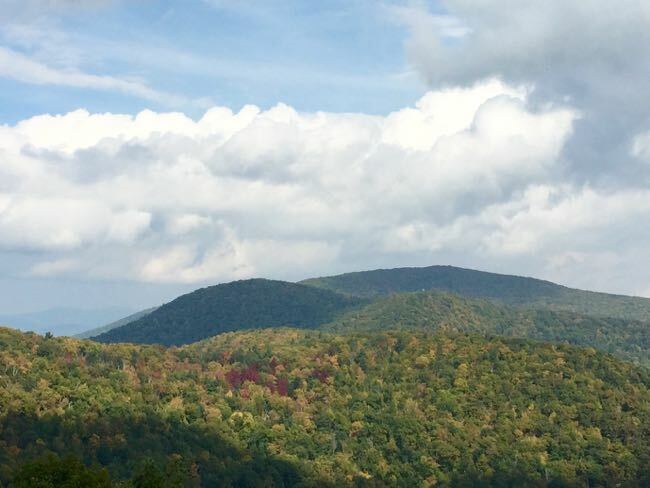 The colors of Shenandoah emerge in early October. We generally see plenty of golds and greens along the roadway in early October, with occasional bursts of red and orange. Since color develops first at the higher peaks and further south, it’s best to focus early visits on the area between the Thornton Gap and Rockfish Gap Entrance Stations. Lone maple trees at a few of the overlooks attract photographers looking for the perfect orange and red capture. From the overlooks, you’ll still see a lot of green in the views, with a smattering of yellows and a few reds mixed in. By mid-October, the higher hills fill in with much more color. Since there are more oaks than maples, yellow and gold remain the dominant colors. 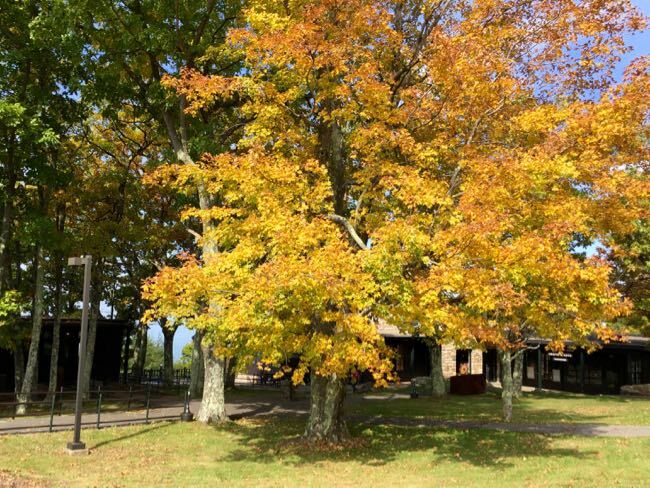 By late October, many trees will be brown or bare. This is the best time to visit the lower elevations at the north end of the park, so the Front Royal to Thornton Gap segment is ideal. 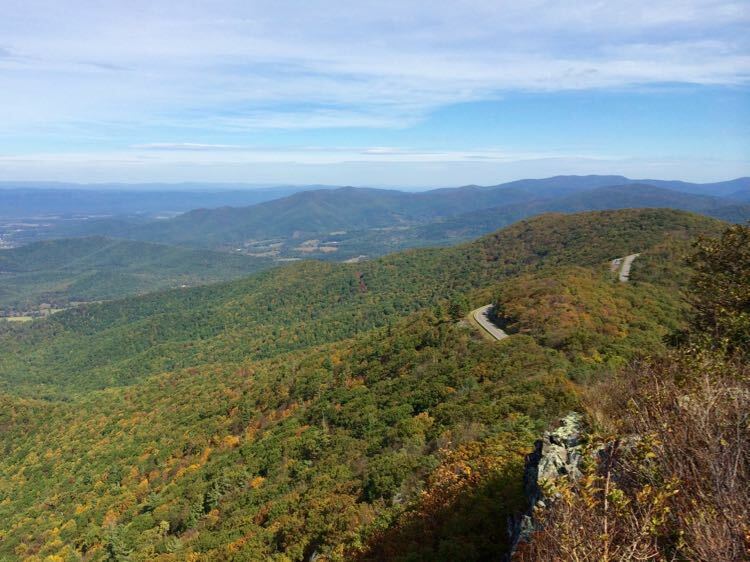 Skyline Drive is 105 miles long and there are 75 overlooks, so you really need to pick your segment and stops if you’re visiting on a day trip. It’s easy to get in the habit of stopping at every overlook, but you can save time by picking and choosing, especially when traffic is heavy during leaf season. 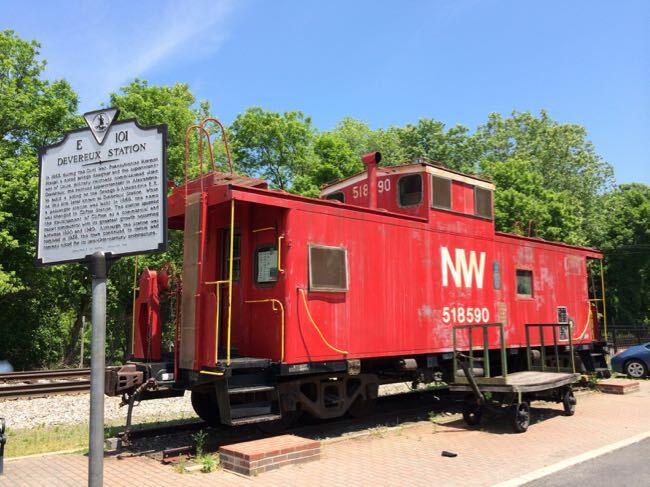 Read our tips to plan a perfect Day Trip in the Shenandoah National Park Central District. Unless you have to have a picture of Mary’s Tunnel, skip the always crowded Tunnel Overlook, and stop at Hazel Mountain or Pinnacles instead. Pick a few east-facing stops, and a few west-facing, for the best variety. Some of our favorite overlooks from the north and central portions of the drive include (from north to south) Range View, Hazel Mountain, Stony Man, Thorofare Mountain, Old Rag, and The Point. Somewhere in between all those overlooks, you will often see animals in the park, so drive slowly. We were thrilled to watch a black bear cross the road ahead of us one late afternoon, and we often encounter deer making their crossing or grazing near the roadway. 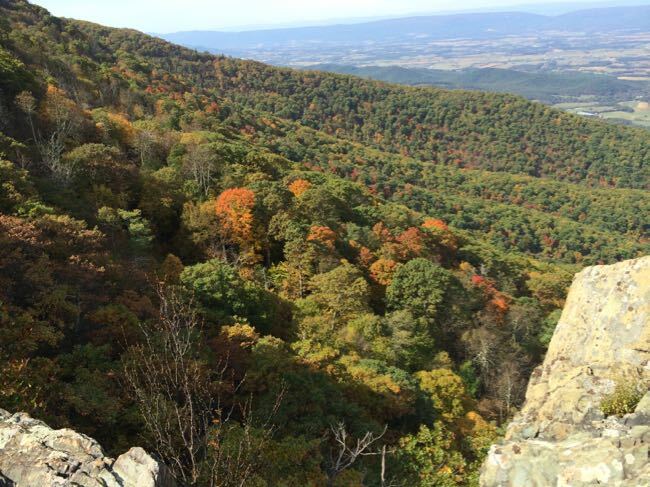 There is no better way to view foliage in Shenandoah NP than from a rocky outcropping. Here are three of our favorite short hikes to a gorgeous foliage view. 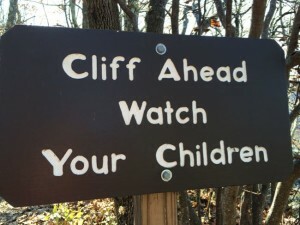 These hikes are all family-friendly, but you will have to keep a close eye (or hand) on young children. Steep drop-offs, uneven ground, and potentially slick rocks are the destination for each of these hikes. The Little Stony Man Overlook hike is only .9 miles roundtrip from the parking area at mile 39.1. This hike follows a fairly steep, rocky section of the Appalachian Trail to the Passamaquoddy Trail and a gorgeous viewpoint. From the rocky overlook, look left and try to pick out the profile of Stony Man. To the right you’ll see a few segments of Skyline Drive winding along the ridge. Straight ahead is the town of Luray, with the ridges of Massanutten Mountain, divided by the New Market Gap, in the distance. 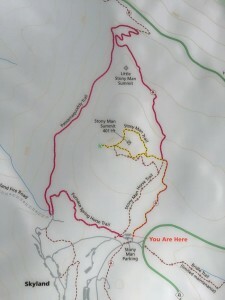 The most popular route to the Stony Man Summit begins in the parking lot just inside the northern entrance to Skyland. From the lot, it’s a fairly easy 1.6 mile round-trip to the panoramic views from Stony Man Peak. Even though this hike is longer than Little Stony Man, the path is less steep so it’s actually an easier walk. The rocky outcropping at the top of Stony Man offers glimpses of the drive to the north, Skyland Resort to the west, and the ridge continuing to the south. Stop to look for peregrine falcons flying below you; they have protected nesting space among the rocks. For a really short leg-stretcher to a view, park at the Crescent Rock Overlook parking area (mile 44.4), and take the easy .8 mile round-trip to Betty’s Rock. The trail begins at the north end of the parking lot and climbs gently to the rock ledge. Again, the ledge is very exposed so keep an eye on children. 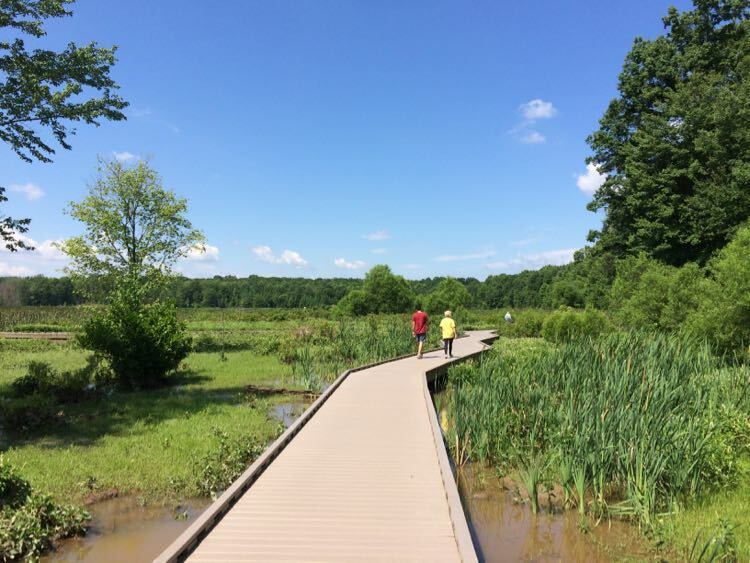 READ More: Short Hikes to Gorgeous Virginia Views. 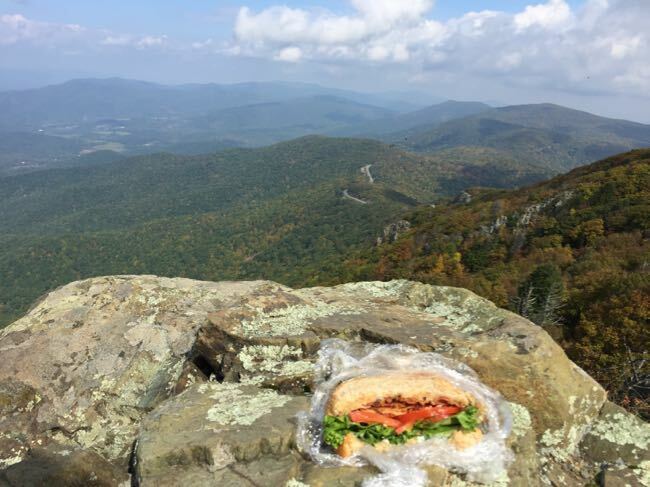 There are several options for eating in Shenandoah NP, but the panoramic views are found in the dining rooms at Skyland Resort and Big Meadows. The food is not the primary reason to dine in Shenandoah, though we have enjoyed tasty meals here by sticking to basics. 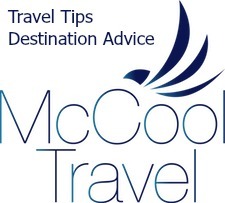 Try to time your stop during off hours to increase your chances of a table by the window and faster service. An even better option for a meal in the park, in our opinion, is to bring a picnic lunch to enjoy from one of those fabulous viewpoints. On our way to the Thornton Gap Entrance, we like to stop in Sperryville to pick up lunch to go. 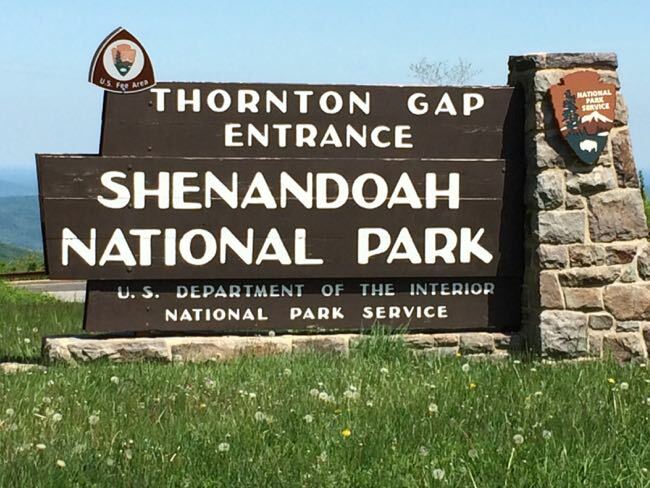 There are two Visitor Centers in Shenandoah National Park and both offer an interesting look at the nature and history of the park. The Dickey Ridge Visitor Center, at the north end of the park (mile 4.6) has exhibits, a video, and maps highlighting park nature, and is a good place to get advice on hikes and special activities. 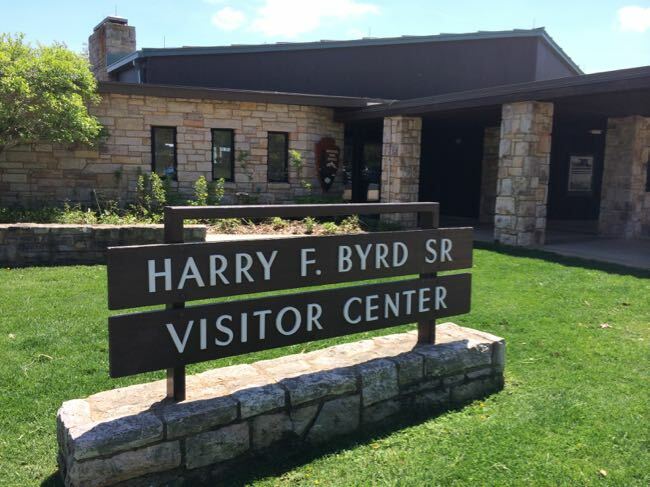 The larger Harry F. Byrd center, located at Big Meadows (mile 51), offers excellent displays about the history of the park and the work of the CCC. 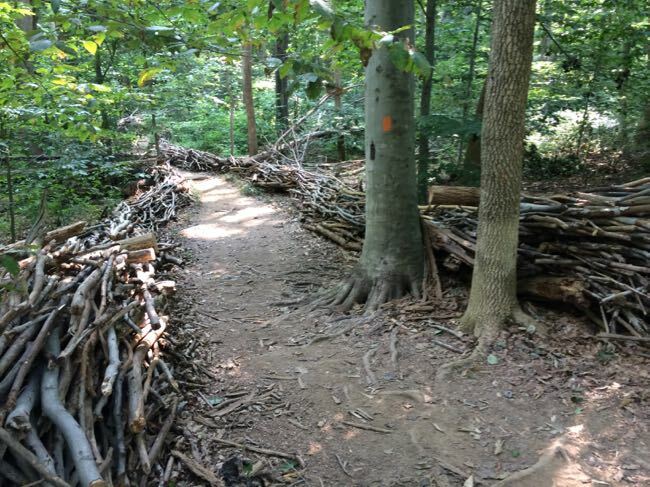 Ranger programs and guided hikes are offered throughout the day at both visitor centers, Skyland, and Loft Mountain, including Junior Ranger programs for kids. 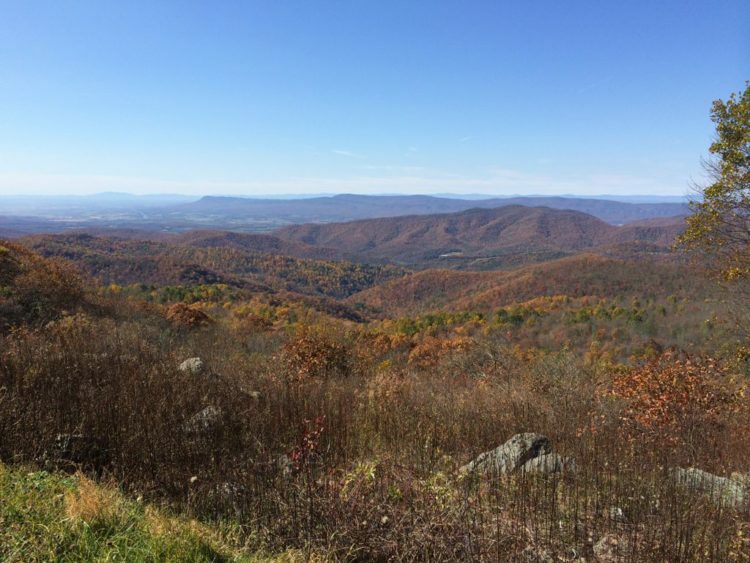 Shenandoah is an ideal fall getaway from Washington DC and nearby areas. 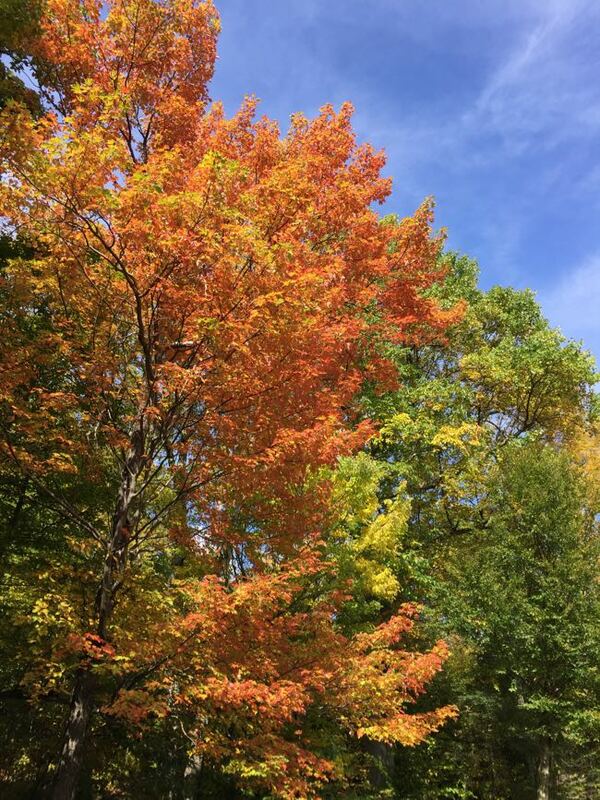 There is no better way to experience the fall foliage than spending a few days in the park, hiking and exploring. Fortunately, there are several options for overnight lodging in the park, including lodges, cabins, and campgrounds. We recommend the lodge at Skyland Resort for it’s beautiful views and central location. Request one of the upstairs, renovated rooms in the main building for the best views and comfort. 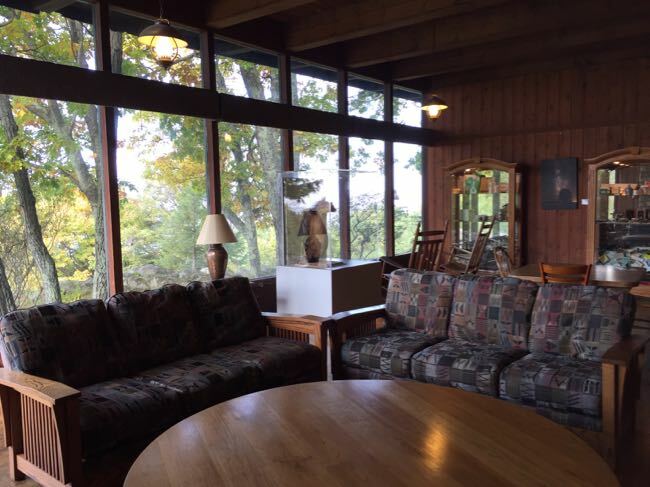 The lobby area includes a cozy fireplace, comfy couches, and a couple of rockers for taking in that great view. 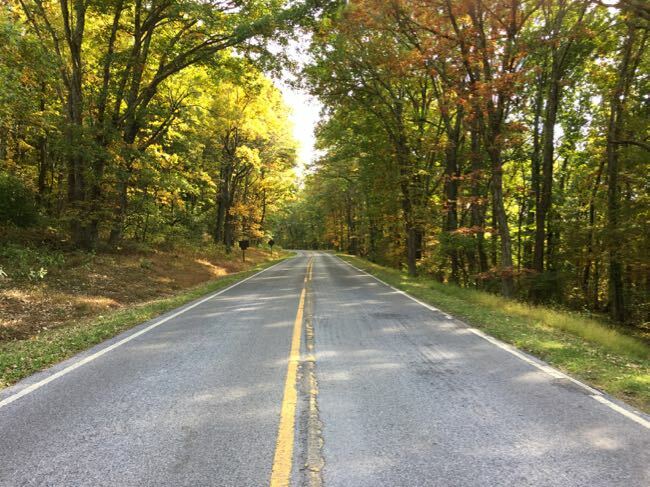 Whether you explore foliage in Shenandoah National Park for a few hours or a few days, you’ll find beautiful views and gorgeous fall colors. 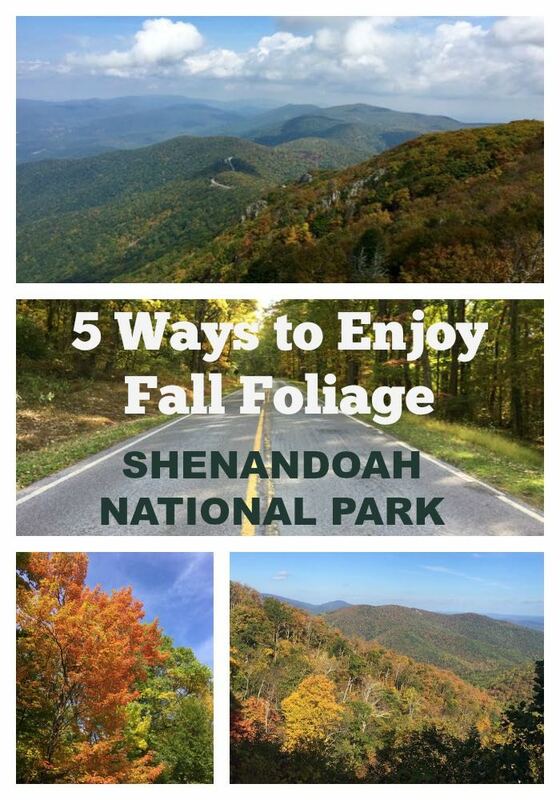 Check the Shenandoah foliage report for weekly color updates, or sign up to receive the weekly email. 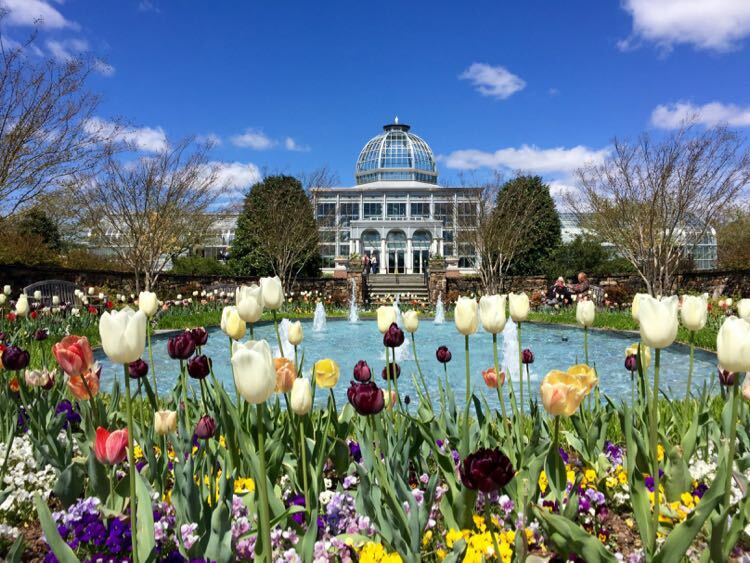 If you’re a Northern Virginia local, buy an annual National Park Pass and plan frequent visits throughout the year. The park is an ideal foliage destination in October, but it’s a beautiful place to visit in every season. 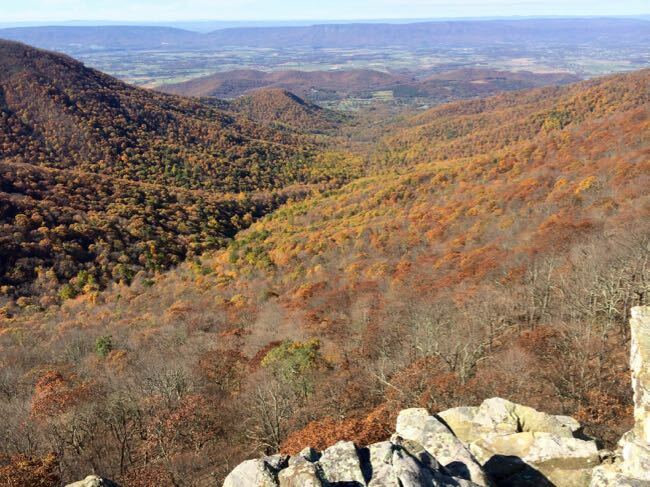 Fall foliage in Shenandoah National Park looks absolutely glorious! We’d love to visit! It is a pretty incredible place, and so many of the best views are easy to get to. Hope you can visit someday, Betsy! Fall is my favorite season. In 2010, we started our drive of the Blue Ridge Parkway from Shenandoah National Park. I had no idea that the Park had more to offer, especially during Fall. Such lovely sights to behold! We drove the Blue Ridge Parkway many years ago but we were past the foliage season and didn’t have the best weather. We plan to make a return trip, maybe driving top to bottom on both Skyline and the Blue Ridge. Such a lovely area. Thanks for stopping by, Carol! 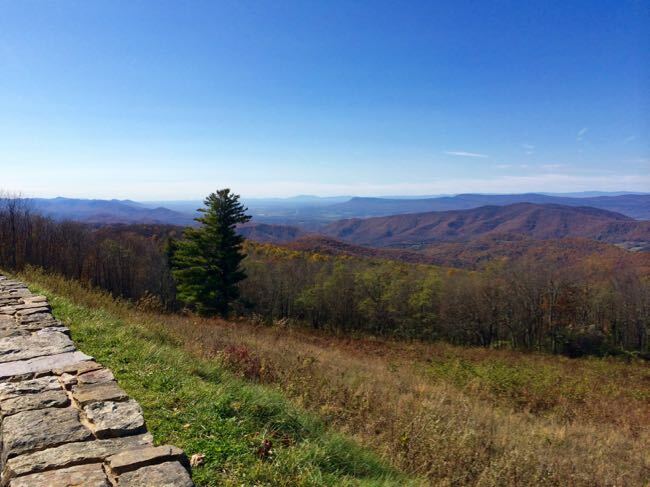 Shenandoah National Park and Skyline Drive is on our list of places we want to visit. Since we live in Philadelphia, it’s a place we could drive to. Instead, we always seem to be getting on a plane to go places—next trip is Madrid. I think it’s time for us to explore our own “backyard” some more. BLT with a side of awesome is, well, awesome. 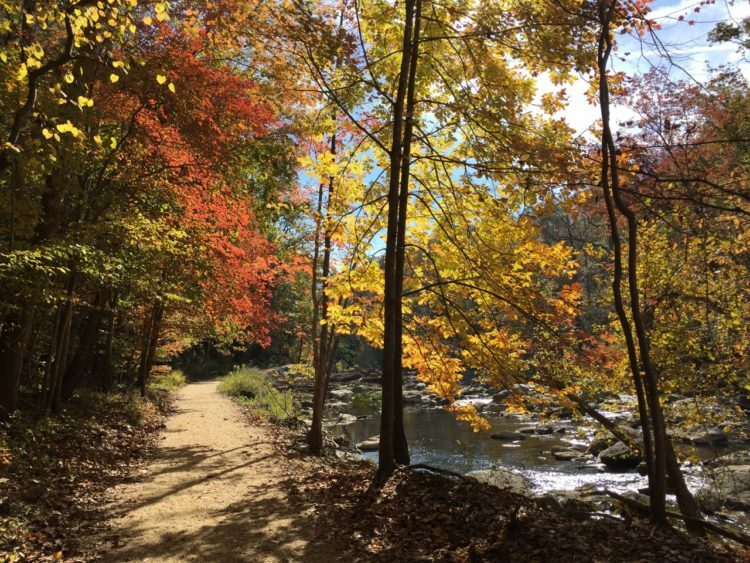 Love the wonderful hikes in Shenandoah in the Fall season. Spectacular. Thanks for the nice feedback and happy travels! I really want to do this during fall season some day, thanks for sharing this wonderful park! Hope you can work it into your travel schedule Noel. It’s a beautiful drive for photographers. BLT with a side of awesome is awesome! Is Skyline Drive part of th ed Blue Ridge Parkway? 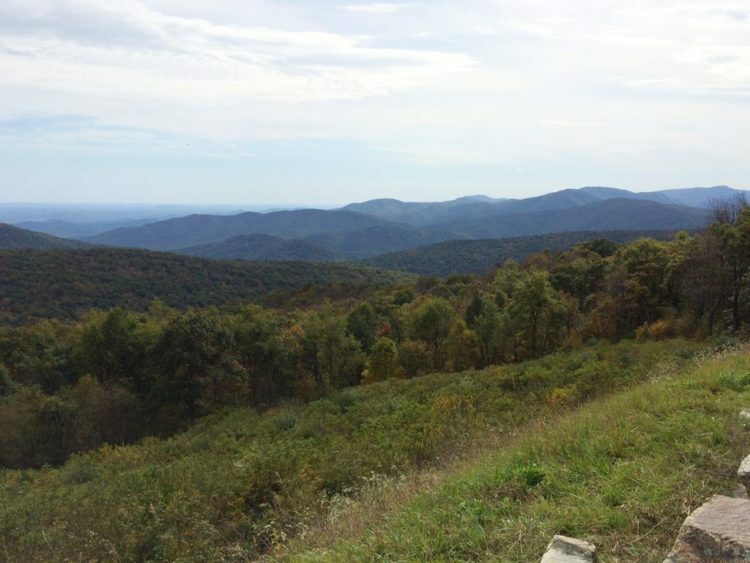 Skyline Drive is north of the Blue Ridge Parkway, Carolina. If you had time it would be fun to drive the whole route and combine them both, especially gorgeous in the fall. 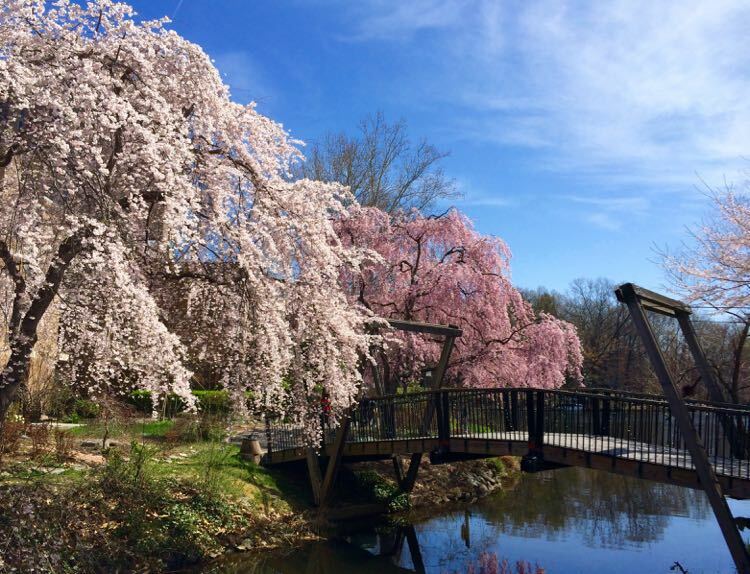 We agree; Shenandoah is definitely worth a visit Jill. Hope you can add it to your list. Happy travels! Love the idea of lunching amongst the beautiful fall foliage – sounds wonderful! Thanks for the feedback Susan! 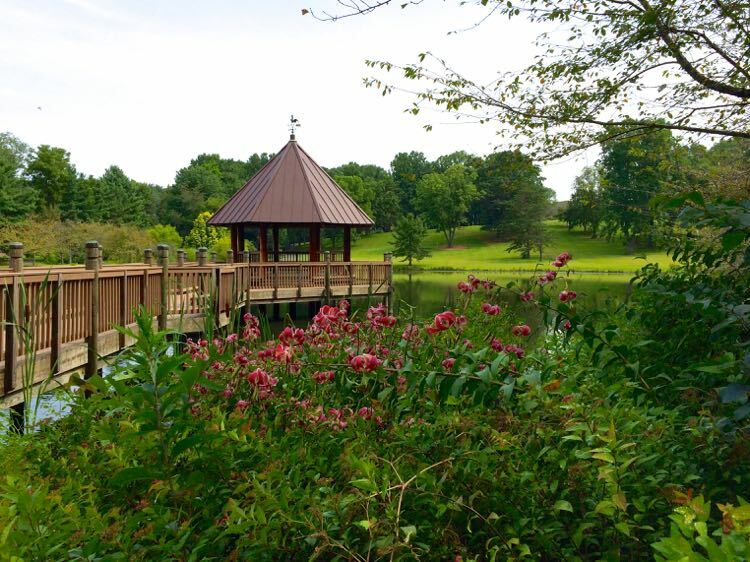 Skyland is perfect for indoor dining amongst the foliage, and we love a nice picnic at the overlooks or on the trail. We are visiting the Skyline tomorrow , Nov 4. Which spot is best to view the sunset? Any of the west facing overlooks should work. (e.g., Jewell Hollow, Hazeltop, and The Point). If you have a flashlight for the hike down, Stonyman summit is a nice spot to watch the sunset. Just bring the right gear because you will be hiking down in the dark.